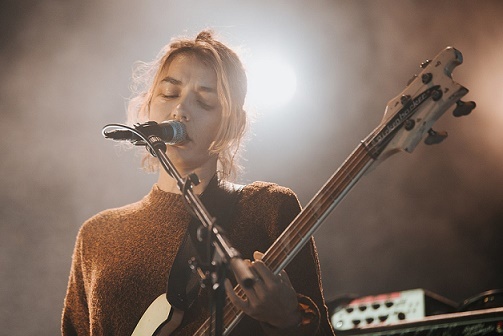 Recently, 45 international music festivals – but no Danish ones – released a statement of intent that they would work towards creating more equality when it comes to the gender of musicians on their programs. The idea is to achieve equality by 2022 in terms of the ratio of men to women performers. A list compiled by DR’s ‘Kulturen på P1’ shows the gap all too clearly. Roskilde Festival scores best, with 27 percent women and 73 percent men. The worst scorer is Copenhell with only 3 percent women, but perhaps that is not so surprising as the festival specialises in heavy metal and black metal – a genre that encompasses very few women performers. The largest music festival in Denmark is Roskilde, and they have welcomed the initiative. But the head of bookings, Anders Wahrén, feels that it may not be as easy as it sounds. “When we look at the potential bands on offer right now, the ratio is ca 80/20 in the men’s favour and that is bound to reflect in our program,” he told DR P1. Wahrén feels that the main problem is that not enough girls and women play music. “We need to have more women playing. Women are well represented in some genres, but in others there are practically none,” added Wahrén. However, Roskilde has chosen not to join the group of international festivals in their fight for equality. They feel that creating quotas for women is not the right way of going about things. “We can’t just say that we’re going to book 50 percent women and 50 percent men because that would be discriminatory special treatment, but I do hope that it will happen in not too many years,” said Wahrén. Yesterday, 26 new names were added to the festival’s roster. Amongst them are Nine Inch Nails – who are probably best known for writing the song that spawned the best ever cover: ‘Hurt’ by Johnny Cash (see video). On most lists of cover versions better than the original, his version is rated No 1. Also returning to Roskilde are Irish group My Bloody Valentine and coming over for the first time are hip-hop icons Black Star, consisting of Talib Kweli and Yasiin Bey. Up until now, 86 names have been announced out of a planned 175. Figures: ‘Kulturen på P1’. Bands with musicians of both sexes are not counted.